Can a little white pill used to treat arthritis, be the answer to a certain type of male baldness? A study conducted at Stanford and Yale reviewed 66 alopecia areata patients who took a pill, called Xeljanz, the result, more than half of the study subjects began to see hair growth. Xeljanz is prescribed for people with rheumatoid arthritis, another autoimmune disease. 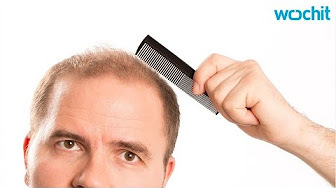 In the study nearly a third of the subjects saw a 50% increase in hair growth. In an similar but unrelated study, nine of 12 patients with alopecia areata recovered more than 50% of hair regrowth using a drug known as, Jakafi, which is approved for cancer treatment.